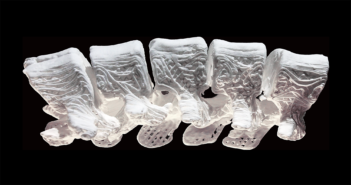 A 3-D printable ink developed by Northwestern scientists produces synthetic bone implants with unique properties to induce bone regeneration. Dimitri Krainc, MD, PhD, Aaron Montgomery Ward Professor and chair of Neurology, has received the Javits Award from the National Institute of Neurological Disorders and Stroke. Northwestern University has been awarded a grant from the National Institutes of Health to help scientists across the country study how environmental factors influence health outcomes for children. Monica Rho, ’05 MD, ’09 GME, traveled to the Paralympic Games in Rio de Janeiro, Brazil as head team physician for the U.S. Paralympic Men’s Soccer Team. Dai Horiuchi, PhD, assistant professor of Pharmacology, has been awarded a $450,000 research grant from Susan G. Komen to explore a potential targeted therapy against triple-negative breast cancer. Northwestern Medicine scientists continue to demonstrate that a protein called Hrd1 may be an important target for treating autoimmune diseases. Huda Zoghbi, MD, recipient of the inaugural Mechthild Esser Nemmers Prize in Medical Science at Northwestern University, gave a presentation on her research journey studying the neurological disorder Rett syndrome. 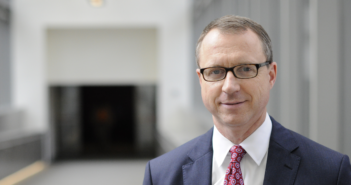 Robert Brannigan, ’92 MD, ’93 ’94 ’98 GME, professor of Urology, will work with medical education staff to address student wellness, career planning and mentorship. Northwestern Medicine scientists utilized a data science approach to develop more efficient methodology that can be used to inform a wide variety of quality improvement strategies in clinical practices. Northwestern Medicine scientists evaluated whether an RNA biosignature could distinguish if infants 60 days or younger with fever had a serious bacterial infection.